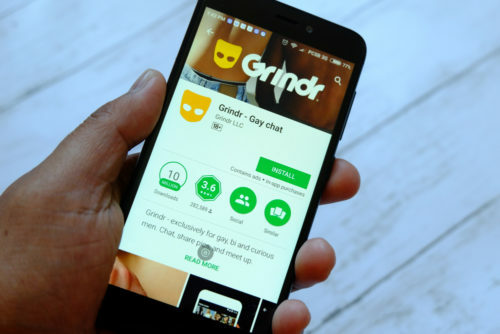 Chappy, a dating app focused on gay men, has released its most recent survey, and what it says about the state of race relations among gay and bisexual men isn’t very good. The report covers a number of different topics, including workplace discrimination and domestic abuse, but it was the findings on race that raised eyebrows: 38% of the 500 British men surveyed by the app’s maker want dating apps to allow them to filter their potential partners by race. What’s more, 27% of those responding consider race to be an issue when they seek out a partner. The survey was done in partnership with the BAME LGBT Charity, which works to empower and celebrate queer people of color throughout the UK. “Under the guise of “preferences,” some feel comfortable being overtly racist towards BAME (black, Asian and minority ethnic) people. Phrases like ‘no blacks, no fems, no Asians’ have become the new norm,” said the founder of the BAME LGBT Charity, Ozzy Amir. Related: A gay dating app is relaunching. With a ban on sexual racism. While 84.4% of the men surveyed said they had not faced discrimination over their race within the LGBTQ community, the numbers were staggeringly different when broken down by race. 7% of Caucasian men had faced racial discrimination in the community, but 35% of BAME people had. Only 11.3% of those who responded to the survey were people of color. The app maker has no plans to add filtering by race to their app, however. “Whilst we are sympathetic to the experiences that may lead to the self-segregation of those who have been discriminated against, at Chappy we don’t believe that is a sustainable solution — we believe in true diversity,” reads the report. “Dating can be intimidating,” added Chappy’s co-founder, Sam Dumas. “It is Chappy’s responsibility to create an environment that is safe and fun, not rude and abusive.